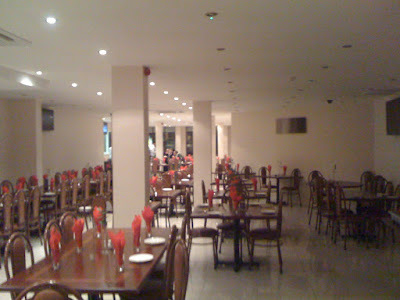 The insurmountable dilemma facing any new Pakistani grill house - in fact, let's face it, the problem with most existing Pakistani grill houses - is the continued existence of Tayyabs. 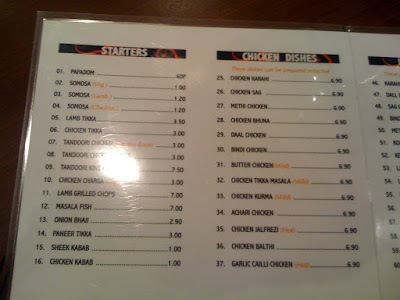 I'd be quite happy to visit Lahore Kebab or Mirch Masala or even the Maedah Grill far more often that I currently do, if it wasn't for the fact that Tayyabs quite simply makes everything, from the lamb chops to the Karahi Chicken, better than anywhere else. Sure it's a pain to get to and to get in, the smoke from the iron skillets burns your eyes and impregnates your clothes and you will be sat so close to fellow diners that you may as well be sharing the same plate, but there's a reason punters put up with such physical and emotional torment - it all fades into insignificance as soon as the first bite of dry meat passes your lips. Tayyabs is the benchmark for Pakistani grills, its consistently wonderful food and remarkably successful business model hanging over every other pretender in the capital. 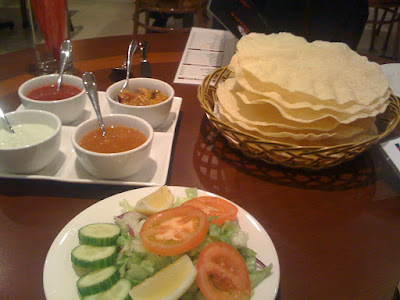 "If Tayyabs can do it, why can't you?" 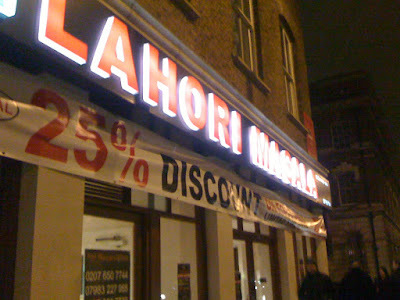 So you have to feel for Lahori Masala, brand new on Commercial St on the site of an old wholesale cash & carry. You can't fault their ambition - this is a 600-cover restaurant. I'll say that again - six hundred covers. That's only slightly less than London's largest restaurant Gilgamesh which I think can cram in 800-odd. 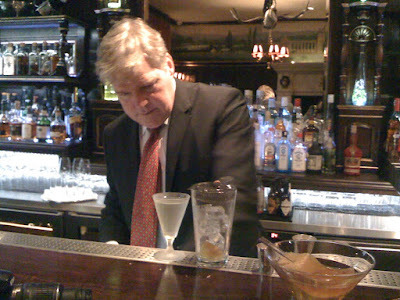 And the staff last night were lovely, attentive and friendly and obviously very proud of their gleaming new venture. But how would they compare? 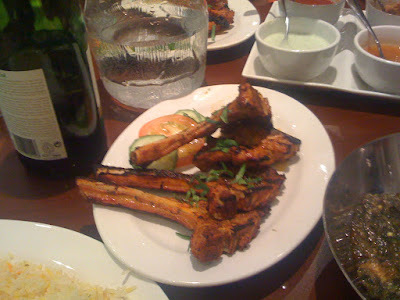 And more to the point, how could anywhere serving lamb chops and chicken tandoori pieces ever think they would not be compared to the granddaddy of them all on Fieldgate St? We decided not to ignore the elephant in the room, and in the interests of fairness ordered a selection of Tayyabs staples (lamb chops, seekh kebabs, dhal) and a couple of bowls of curry - a sag gosht and a bindi chicken. First to arrive, though, were the popadums. 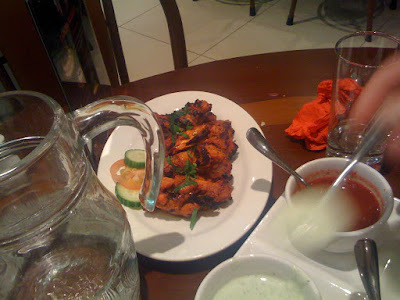 All fried rather than Tayyabs' mix of fried and baked, and of the unspiced variety, they nevertheless went well with the fiery house pickles, particularly their home made tomato chilli sauce. I also think even Tayyabs could learn from the option of lime pickle - I love that stuff. It's probably no shock to learn that the mains weren't as good as the Tayyabs' versions, but they really weren't that bad at all. Tayyabs has set the bar so high it's easy to get complacent at the otherwise pretty decent food being served elsewhere, and although the Lahori seekh kebabs and lamb chops were tamer, less confidently prepared (the kebabs in particular needed crisping up a bit more on the outside) and ran the risk of being a sad reminder of the Other Place, the fact is this stuff is all still fairly tasty. Also arriving with the starters was something Tayyabs doesn't do at all - tandoori chicken wings - and these were superb, crisply charred and powerfully marinated. 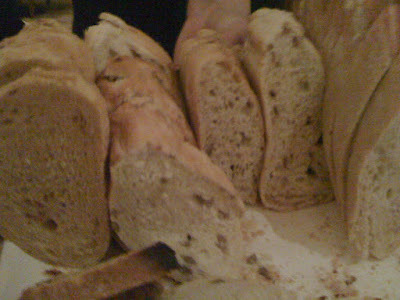 Mains were more mixed. Both the sag gosht and the bindi chicken ran the risk of collapsing under the weight of their own grease, but had a good flavour and perfectly fresh ingredients. 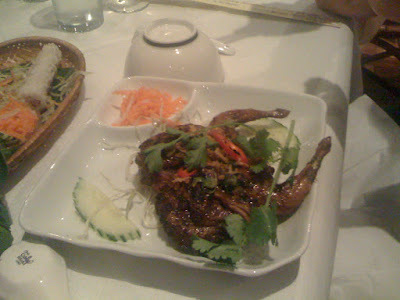 The chicken cubes in particular were lovely and moist. The dahl was more disappointing, requiring far more seasoning to be anything approaching tasty. It was a bit like eating yellow wallpaper paste. In the end, the biggest mark against Lahori Masala is that it's not Tayyabs, and I understand completely why you might prefer to keep walking down Commercial Road into Whitechapel. But really, we should consider ourselves lucky - I have a feeling that none of these other places would be anywhere near as good if it wasn't for Tayyabs. You need a market leader to shake up the system and show everyone else how it's done - look at the way Hawksmoor proved that there was such a thing as a world-class British steakhouse, or how Cay Tre made the wonder of cheap, authentic Vietnamese food available to Londoners. 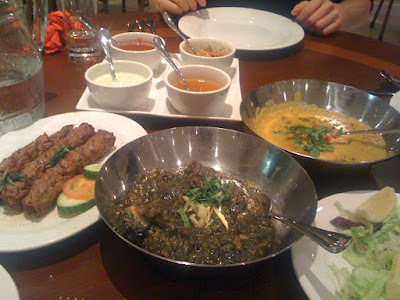 If the worst you can say about Lahori is that it's not Tayyabs, then really, that's not much of a criticism at all. 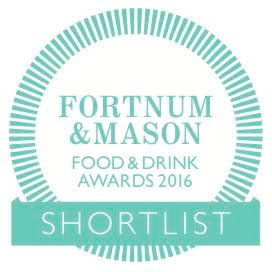 I can almost recommend it - at least you won't have to queue. It was the haggis dim sum that was the hook, at least for me. There's nothing like a bizarre or ill-conceived food fusion to make a hilarious evening and a post that writes itself - in fact for many weeks after I learned of the hideous 'Brazilian/Sushi' mashup that is Sushinho I was desperate to go and see if it really was as bad as everyone said, even if it meant paying through the nose for it. It's strange, I know, this compulsion for visiting car-crash restaurants, but it certainly does make life interesting. 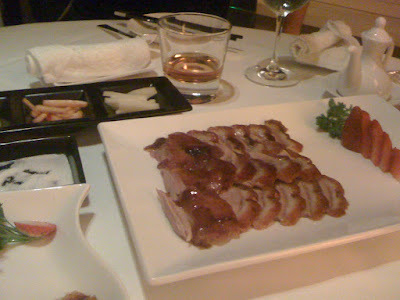 A more prosaic reason to visit Min Jiang, though, was because I'd heard their duck was very good, and it was the whole roast duck and the haggis dim sum that formed the main part of their special Burns Night menu (£55 a head). Scottish/Chinese fusion, with matching whiskies. I could hardly wait. 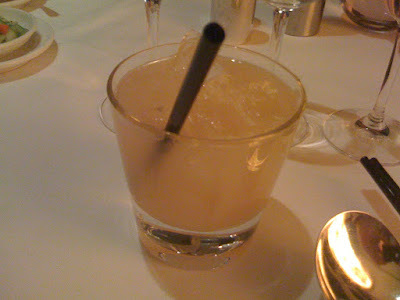 The first 'course' was an Ardmore Whisky Sour, and was superb - it's amazing how many places treat a sour like any other fruit-based cocktail and serve it far too sweet. This was mouth-puckeringly refreshing and with a heady scent of peat bogs from the whisky. Served alongside, quite welcome but probably rather unnecessary, was a glass of house champagne. I bravely faced down the two drinks and wondered where the night would lead. And finally, the main event. Haggis dim sum came in the form of a crispy wonton, a cute little haggis and prawn dumpling in its own individual steamer, a cucumber roll (sort of a mini spring roll) and a delicate pastry puff. And do you know what? They were all excellent. Haggis, as it turns out, makes a fantastic dim sum ingredient, being both richly flavoured and with a marvellous consistency, and all of the different bite size elements worked very well. 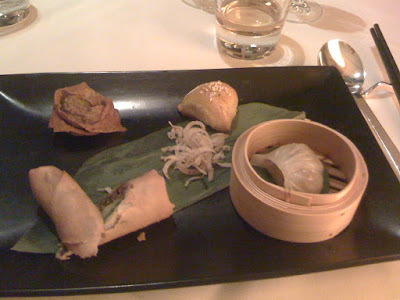 My own favourite was the wonton, whose crispy casing was the best foil to the loose texture of the haggis filling. 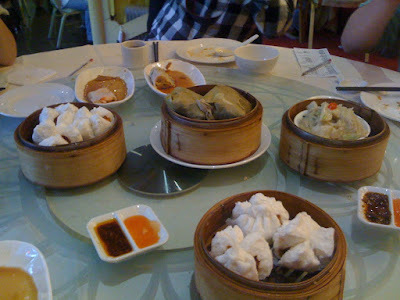 It's also important to note that none of the dim sum attempted to mask the bold haggis flavour, either by skimping on filling or adding extra more 'authentic' Chinese spices. I really enjoyed this course, and it wasn't just because it was served with a large measure of Highland Park 12yo. 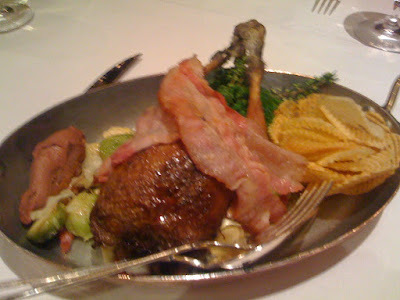 Half-drunk glasses of cocktails, whisky and champagne now stacking up alarmingly, it was time to tackle the duck. Carved skilfully by the table, it certainly looked the part - a lovely deep colour and a nice even roast. 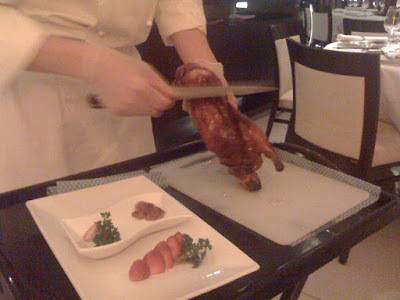 Slices of moist duck meat were lined up neatly on the serving plate, thin slivers of crispy skin were presented separately to dip in sugar, and our waitress showed us with stunning dexterousness how to assemble, dress and fold a pancake using only chopsticks. What a shame, then, that the duck itself failed to live up to the hype. It was very well timed, being moist and pink and with a good crispy skin, but I'm afraid there was no particularly strong duck flavour - the pancake filling overwhelmed the bland meat, and the slivers of duck skin just tasted of cold grease. I liked the idea of putting raw mashed garlic into the pancakes as well as the pickled veg, but I had big hopes for the famous Min Jiang duck and it was all rather disappointing. Even yet another large glass of whisky (a rich Macallan 10) didn't lighten my mood. 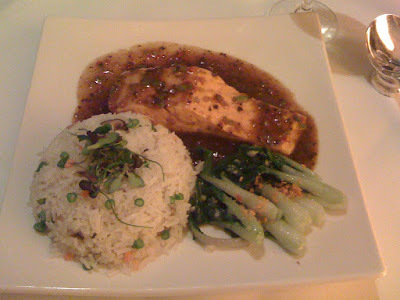 A course of salmon in black bean sauce was also pretty dull. It was - again - technically very well done, the salmon being moist and warm and just slightly raw in the middle, but the black bean sauce was far too familiar from a thousand other high street Chinese restaurants, and it was all surprisingly unambitious for a restaurant which was happy to serve haggis dim sum. Only the accompanying baby pak choi really stood out - crispy and delicious in the way that only Chinese restaurants ever seem to be able to cook vegetables. 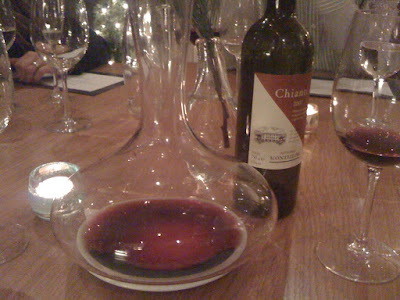 This course was served with a glass of Pinot Gris, the first bottle of which was corked but replaced with charm and efficiency. And before you ask, no of course I couldn't tell - I would have happily chugged the whole thing down, but in my defence I was about a half bottle of whisky down by that point. 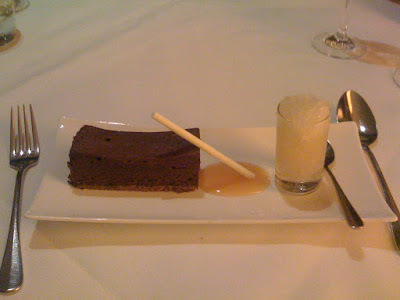 Dessert was a whisky chocolate tart, served with a whisky granite. Through the whisky-induced haze I can just about remember the chocolate tart being fairly unexceptional but the granite being peaty and delicious with a pleasant fresh texture. I'd had a whisky cocktail, a glass of champagne, a glass of Pinot Gris and THREE large measures of Scotch by this point, so you'll excuse me if I'm a bit short on detail. 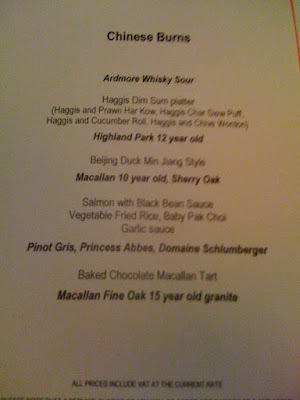 In the end, although the meal tailed off towards the end and some elements were less than stellar, the main draw of the evening (the haggis dim sum) lived up to expectations and then some, and along with the liberal amounts of alcohol served as part of the £55/head set menu, it all added up to a pretty enjoyable evening. Service was superb too, and what's more they didn't even add it automatically to the bill - we were left to do the calculations ourselves. My lasting impression of Min Jiang, therefore, will be one of enormous generosity, and that's not because everything else, including the journey home, is lost in the alcoholic fog. The secret to an enjoyable evening then, is some competently cooked food, pleasant service, and more whisky than you could possibly ever want. Who knew? 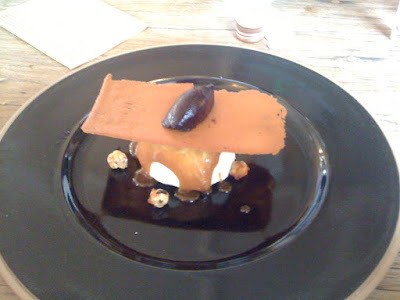 I had hoped, in the spirit of other far more prolific gastronomes, to do a roundup of all my dining highlights of 2009 in the form of a categorised list, instead of choosing just one "Restaurant of the Year". 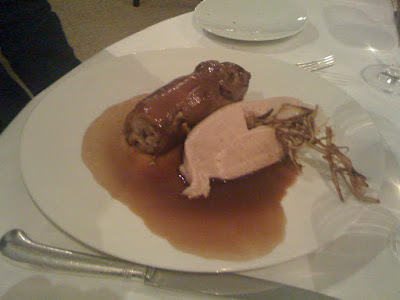 It was partly because I didn't want to bore people with yet another gushing exaltation to Rules, but I was also curious as to whether even I could reliably recall meals and dishes from the first few months of 2009 - even El Bulli seems like a lifetime ago, never mind my first trip to the wonderful Harwood Arms in February. - Tayyabs remains as addictive and reliably enchanting as it is infuriatingly popular, but then it's when you don't see them queuing round the block in Whitechapel you have to start getting worried. The lamb chops and dry meat remain works of near-genius. - It's still hard to resist hugging myself with self-satisfied glee at the existence of the Lavender Hill branch of Mien Tay. The friendly but slightly shambolic service and functional décor hide a skilled and generous kitchen. I've been about twenty times since October. 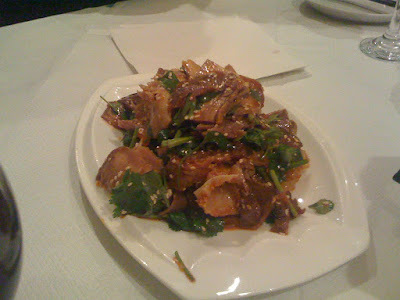 - Exhilarating and challenging Sichuan food in Chilli Cool, Snazz Sichuan (not reviewed) and Gourmet San, where I discovered that there is no dish that can't be improved by the addition of pig. - A handful of equally satisfying (and stunningly good value) dim sum meals at such varied sites as New Cross, Elephant & Castle and Greenwich. Dim sum chefs train for years, the food is intricate and precise and delicately and uniquely flavoured, and it is a complete mystery why it's all so incredibly cheap. But you won't hear me complaining. - A hugely enjoyable (and wallet-burstingly expensive) evening at the Pierre Koffman popup, in a room seemingly populated exclusively by food bloggers and journalists. - And of course, there's that little trip to Spain in September. I didn't enjoy all of it, and in fact hated some of it, but I can't say I still don't feel privileged to have been. So that was 2009. Many thanks once again for everyone reading the blog and following me on Twitter, and with any luck 2010 should bring even more potential delights, disasters and Ibérico ham tastings (that last wish is mainly for selfish reasons). Here's to next year - it's been a blast. It's become a bit of a trend of late to take a popular snack food from a foreign country and flog it to central London punters at a 500% mark-up. 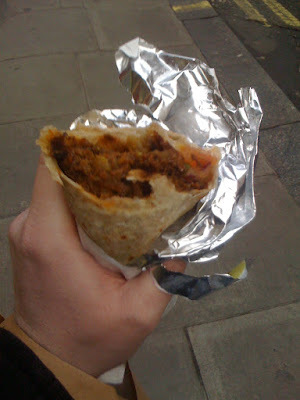 That may sound like a rather cynical line to open on but I can't help noticing how many of the God-knows-how-many bloody burrito vans declare their product to be as authentic as authentic can be, then keep a straight face when charging £6 each for them (with 50p extra for guacamole). I know there are London real estate prices and the minimum wage to take into account, but honestly, £6 is too much to pay for a bit of broiler chicken wrapped in bread and salad. And don't even get me started on banh mi. Anyway, deep breath. 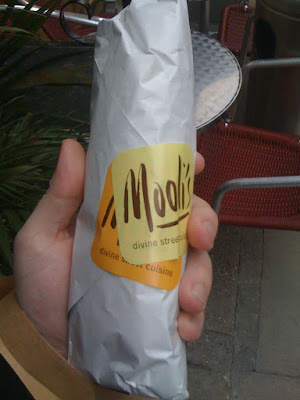 Mooli's, newly opened on Frith Street in Soho, serves what can best be described as an Indian meal in a wrap, containing staple meats such as pork, chicken and beef (and more recently goat) with Indian spices and vegetables all encased in a fresh roti. Given that it is a) brand-new and b) slightly exotic, the food blogs and foodie Twitterers have whipped themselves up into a virtual maelstrom of hype, and although I do try and keep an open mind on going anywhere new, it's fair to say my hopes were high. Fortunately, it was nice - very nice in fact. I went for the goat option, and inside the perfectly moist roti was a healthy serving of goat alongside various chunks of roasted and fresh veg and a healthy but not overpowering kick of chilli. I particularly liked the tiny cubes of raw onion and the odd lump of velvety goat fat hiding within the richly flavoured and intelligently spiced shredded meat. 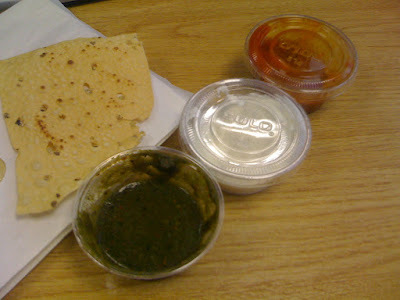 I was also given a neat little parcel of baked popadums which made a perfectly good side, but although the spicy tomato and the mint yoghurt dips were very nice I really wasn't keen on the green chilli - very bland and flat, it was like eating wet grass. So definitely not a wasted journey to Soho. 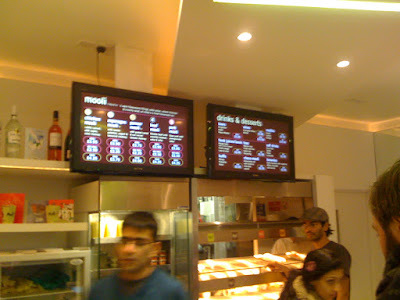 I'm certain Mooli's will do very well given that they - for the moment at least - have a unique and genuinely tasty product, and I don't doubt the effort that owners Sam and Mathew have gone to to reproduce the street food of India under London's cold grey skies. I was slightly confused as to why my goat wrap cost a full £5 when the other meat options ranged from a more more acceptable £3.50 - £4, goat being what I thought was one of the cheaper meats you can buy. But it was very good, and while the novelty factor is still in play I'm pretty sure I'll be back. In fact the only major issue I have with Mooli's is that bloody apostrophe. 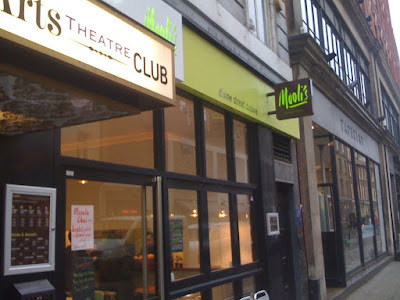 Is Mooli a person and this is his restaurant? Is it short for "Mooli is"? Have a look at their website and see if you can work it out. Beggared if I know. You will find very few bigger advocates of London dining than this blog. Even 6 years since I moved down from Liverpool I am frequently pleasantly surprised by the variety, skill and passion of London restaurants, if not quite so often by the prices. But it's also fair to say that I spend most of my time thinking about, writing about and organising my life around food and eating out, and with research (and let's face it, borderline obsession) eventually comes a trained eye for a decent menu, a kind of food sixth sense which steers me away from anywhere touristy or chainy or indeed anywhere likely to be mediocre, overpriced or a combination of the two. But what would your experience of London's restaurants be like if you weren't armed with thorough research? What if, like any number of the millions of tourists London hosts every year, you had nothing to go on other than a nice looking space, somewhere near a major port of entry, with a reassuring menu of modern standards? Can you really blame any hapless tourist for dismissing the food here as rubbish after he or she made the honest mistake of sitting down in the nearest All Bar One or Angus Steakhouse? On Saturday I had a terrifying glimpse into the alternative reality of London dining when, meeting friends for drinks near Waterloo, I fought hard against my better judgement and paid for a "burger" at the Fire Station. First things first, this was not a cheap burger. 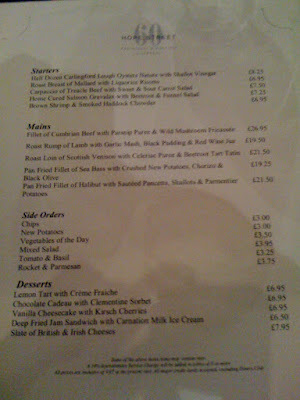 At £9.50 it's at what I would call the upper end of acceptable for a sit-down restaurant burger (the superb Hawksmoor burger notwithstanding), and with this price comes a certain weight of expectations - that the meat will be premium, the patty competently cooked, and the sides generous and/or good quality. Any hope that the sides would be any good were dashed with the use of the term "fat chips" on the menu, but what the hell I thought, I can just leave them. I could probably write a number of paragraphs on why this burger was just so, so awful, but I'll try and keep it brief. The meat, first off, was very odd indeed. It smelled very strongly of raw beef, but slightly stale raw beef, a bit like the whiff outside a closed butchers shop on a Sunday. It was also both dry, as if it had been overcooked, and quite pink, something which should be impossible so perhaps the less I know about how this bizarre effect was produced the better. Salad was nondescript and slathered with far too much cheap mayonnaise, and why they had decided to put the tomato relish in a separate pot I couldn't tell you. 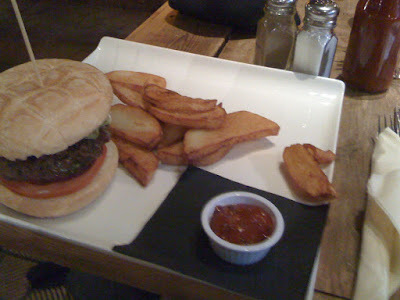 But worst of all, the bun - a bland floury bap better suited to a cheese and tomato sandwich than a burger - was so over-toasted it splintered apart on the first bite, rendering both its texture and its purpose as a vehicle for the beef completely unsuitable. And yes, the fat chips were dire - huge, flat, wobbly and reeking of old oil, they slumped across the huge plate like a pod of lugubrious sea lions. The important thing to remember here is I wasn't going out of my way to find a bad place, I just happened to be with friends somewhere handy and open and near the station, and I ordered some food. And it occurred to me, as my dismal burger in its crispbread bun splintered and shattered into a thousand pieces in my hands, that this is what eating out must be like for a good number of London residents and tourists. If you're not a food obsessive, you won't know that just around the corner is Masters Superfish or the Anchor and Hope and you'll order your crappy £10 burger and hate it and then tell all your friends that London food is rubbish. And that makes me sad. Way over on the other end of the burger scale, however, better news. Byron Hamburgers, of whose existing product I still have niggles with but are nevertheless well worth their very reasonable price, have teamed up with master butchers O'Shea's of Knightsbridge and produced a brand-new 8oz premium burger. Little details have emerged of this exciting new venture, but it will be available from this Thursday exclusively at the Wardour St, Kings Road, Kensington and Gloucester Road branches and chances are it will be well worth checking out. I'll see you there. Thanks to years of catastrophic civic mismanagement, the collapse of almost every industry the city was ever famous for, unemployment, riots, stereotypes and ridicule, Liverpool somehow, tragically, fell from what was something approaching the capital of the world in the late 19th century to a depressed and dangerous place by the 1980s. The central Liverpool of my childhood was windswept and forlorn, and lucky though I was to live in relative comfort in the outer suburbs and only occasionally venture in on the Merseyrail, braving gangs of marauding scallies and dark, unpoliced underground stations, I found very little to admire in the boarded-up offices on Castle Street or the graffitied abandoned pubs that outnumbered the inhabitants. There was no such thing as a rush hour in late 80s Liverpool - you could drive in and park wherever and whenever you pleased (if you were brave enough) and the trains, unreliable and squalid as they were, were never busy. I only mention all this to throw into sharp relief what a transformation Liverpool has gone through in more recent years. You can mourn if you like the loss of the gritty alternative art scene which after all grew such talents as Echo and the Bunnymen and The La's, and you may even nurture fond memories of the majestic, crumbling pre-refurbed Albert Dock, but every time I go back up North now I find another ambitious new development; not the desperate "regeneration" projects of the 80s like the festival gardens, which slipped into misuse almost as soon as the paint dried, but real cultural achievements like the FACT cinema complex and the Novas gallery. And as the city's pride and appetite for cultural and architectural expression has grown, so has its appetite for good food. In previous years I've reviewed the superb Monro gastropub and the flashy London Carriage Works, and this Christmas I put an evening aside to visit 60 Hope Street, another contender for the city's top dining spot. Firstly it should be noted that this not being London, the prices charged sit far more comfortably in the "attractive" as opposed to the "insulting" camp. 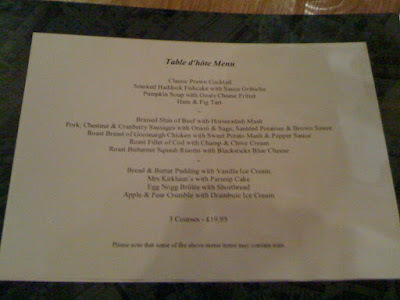 £19.50 for three courses on the daily menu, and though I was in the end persuaded by the charms of the A La Carte (it doesn't take much), those who went for the budget option were equally impressed. 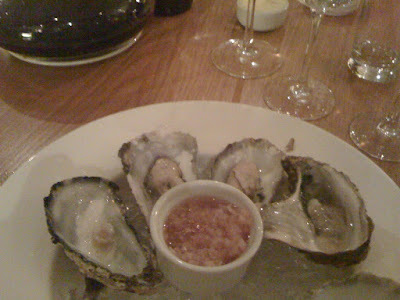 My starter was a plate of half a dozen rock oysters from Carlingford Lough in Northern Ireland. The shallot vinaigrette was very nice, although regarding the oysters themselves I think they could have done with more care during opening so as not to let the brine run out - some were quite low on moisture. I'm nitpicking though really. 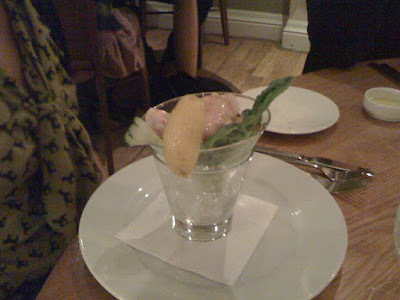 Other starters such as a very tasty prawn cocktail (perhaps Liverpool hasn't quite left the 80s behind after all) were equally well received. 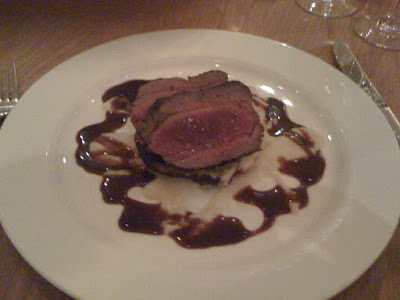 Scottish wild venison, simply roasted and sliced onto a bed of lovely celeriac purée, was genuinely excellent. And though I'm not the world's biggest beetroot fan, combined into a rich, crispy tarte tatin it went down an absolute treat. This wasn't, if I'm honest, hugely ambitious cooking - you're not about to see any St. John inspired offal specialities up North just yet - but sometimes the simplest things done very, very well make for a far more satisfying experience than so many foams and swirls. 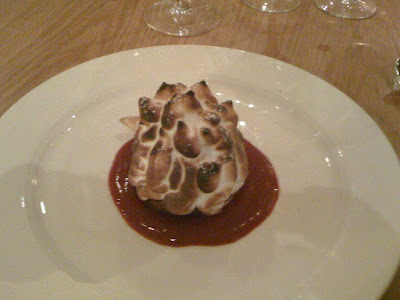 My dessert was another hilarious 80s throwback - Baked Alaska. It sat, looking like a freshly-landed meteorite, on a bed of really delicious raspberry purée, and it was all perfectly cooked, although the less said about the questionable seasonality of raspberries in December the better I suppose. 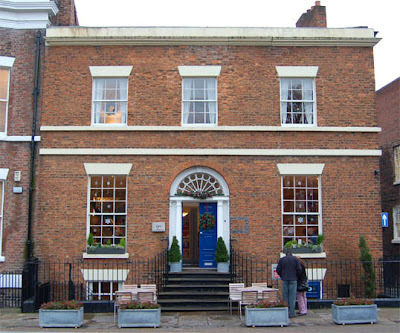 The most remarkable thing about 60 Hope Street was the service. Not that it was world-standard, but it was certainly competent and friendly, and in a city where until quite recently requests for service were often met with a baffled "yer wha'?" this is another very welcome development. 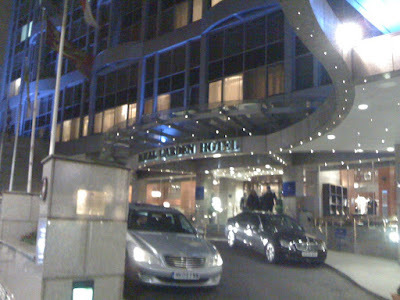 Actually I'm probably being a bit unfair - only the Liverpool Malmaison has seriously disappointed on the service front in the last few years, and it was brand new at the time. On the walk back from Hope Street, through the fashionable Ropewalks district, past the new Hilton (excellent bar by the way) and over to the Albert Dock where we were staying, it's easy to forget that this handsome and clean city was once, not so long ago, one of the most deprived spots in Europe. 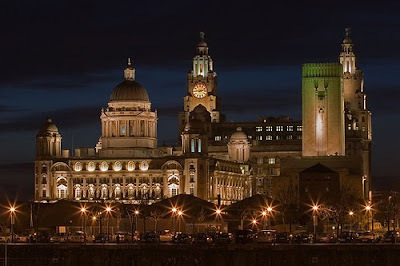 But then perhaps it is best forgotten - those dark times may have shaped the character of this city but the Liverpool of today won't be caught wallowing in the past. Welcome to the 2010s. Have a prawn cocktail.